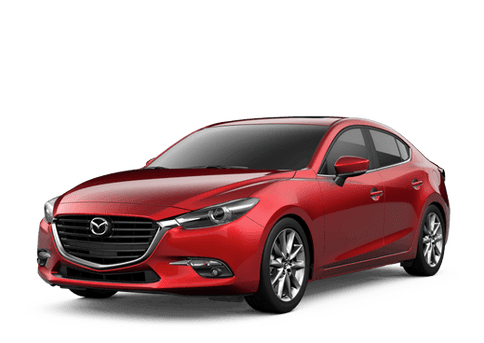 The 2018 Mazda3 Hatchback in Longview TX brings the versatility of a hatchback body style to the small car. Choosing the hatchback body style allows for an increase in storage capacity over sedan models. The five-door hatchback helps create a sporty, fun and practical car. Mazda3 sedan models offer 12.4 cubic feet of trunk space. The five-door hatchback Mazda3 increases these numbers. With the rear seats in place, the hatchback offers 20.2 cubic feet of storage space. Folding down the rear seats increases this number to 47.1 cubic feet. The 2018 Mazda3 Hatchback can be equipped with one of two engine options. The first is Mazda’s 2.0-liter SKYACTIV®-G four-cylinder engine. Performance ratings for the engine check in at 155 horsepower and 150 pound-feet of torque. The engine earns up to 28 miles per gallon in the city, 37 miles per gallon on the highways and 32 miles per gallon combined. Mazda3 models also offer a 2.5-liter SKYACTIV®-G four-cylinder engine. Performance numbers for this engine are rated at 184 horsepower and 185 pound-feet of torque. Fuel economy ratings check in at up to 27 mpg city, 36 mpg highway and 30 mpg combined. 2018 Mazda3 models will be available in three total trim levels. The car is offered in Sport, Touring and GT models. The three trim levels offer a variety of standard and available features. Comfort and Technology Features: Dual-zone automatic climate control, Mazda Advanced Keyless Entry, Bose® surround sound system, Color Active Driving Display, leather-trimmed seats, leather-wrapped steering wheel and shift knob, auxiliary, Bluetooth and USB connectivity, MAZDA CONNECT™ infotainment system, HD Radio, push-button start. 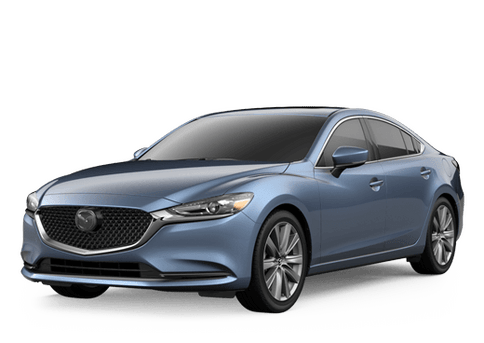 Safety and Driver Assistance Features: Rearview camera, Advanced Blind Spot Monitoring with Rear Cross Traffic Alert, Lane Departure Warning System, Lane-Keep Assist, Mazda Radar Cruise control, Smart Brake Supper, traffic sign recognition. Exterior Features: Available 18-inch alloy wheels, bi-LED headlights with auto leveling, LED daytime running lights, shark fin antenna, automatic headlights, dual exhaust tips, rear roof spoiler, daytime running lights.